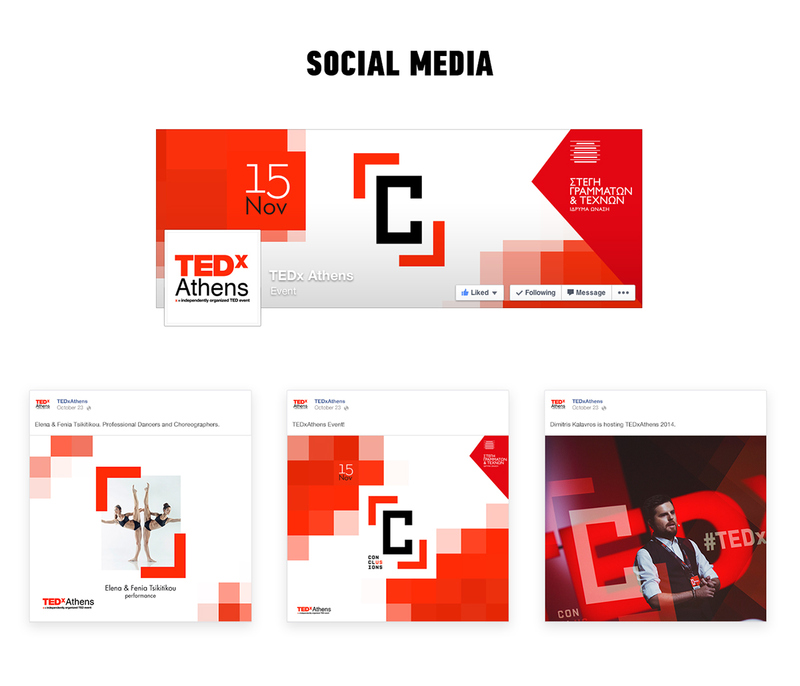 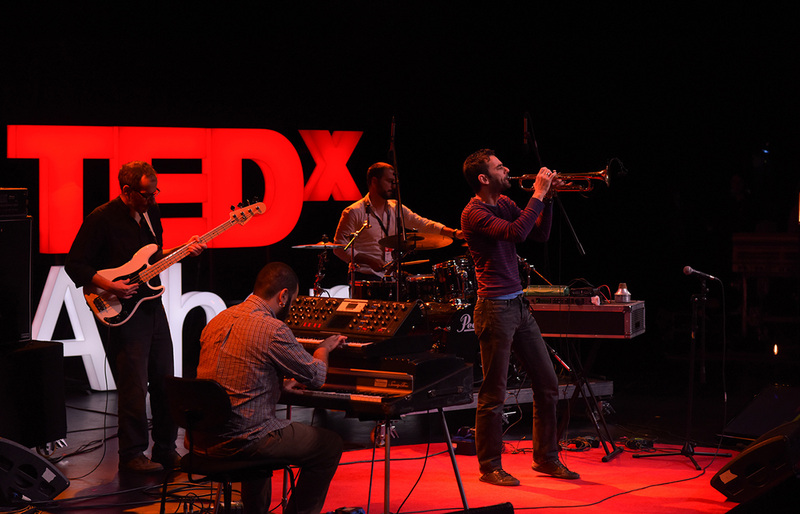 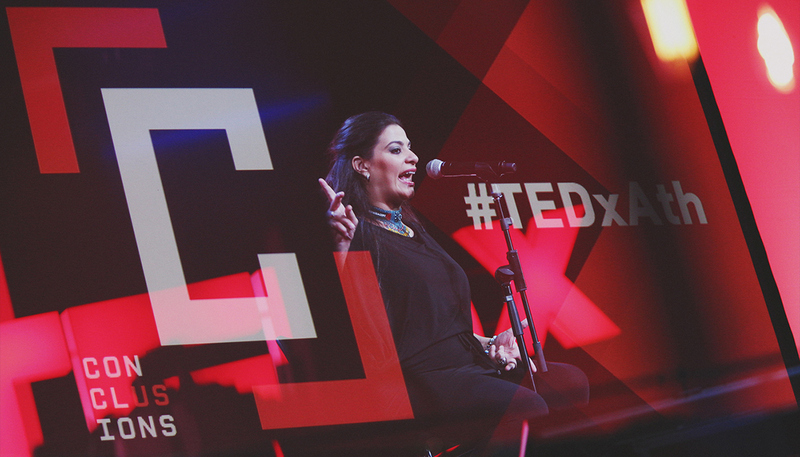 In 2014, while i was working at Tribal DDB Athens i had the chance to work on a TEDx branding and web design. 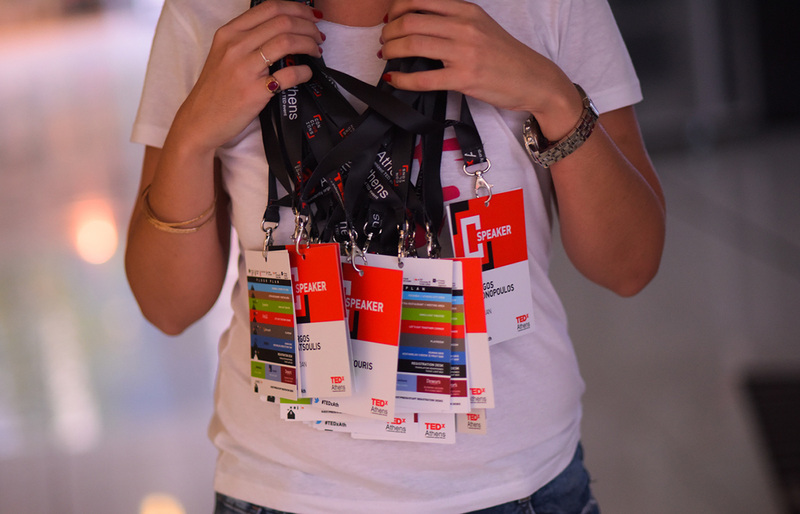 I was responsible for the brand identity and its applications as well as all the digital presence of the event. 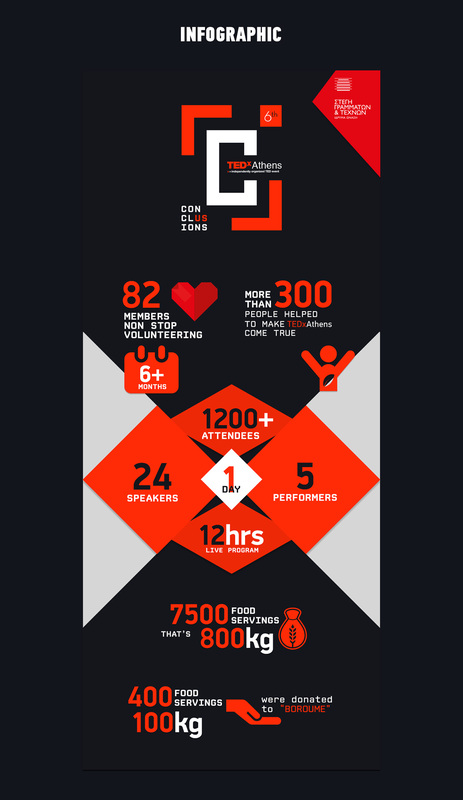 The 2014 event theme was “Conclusions” and the brief was asking for a straight forward logo that embrace the meaning of the word itself in a modern and TEDx style approach. 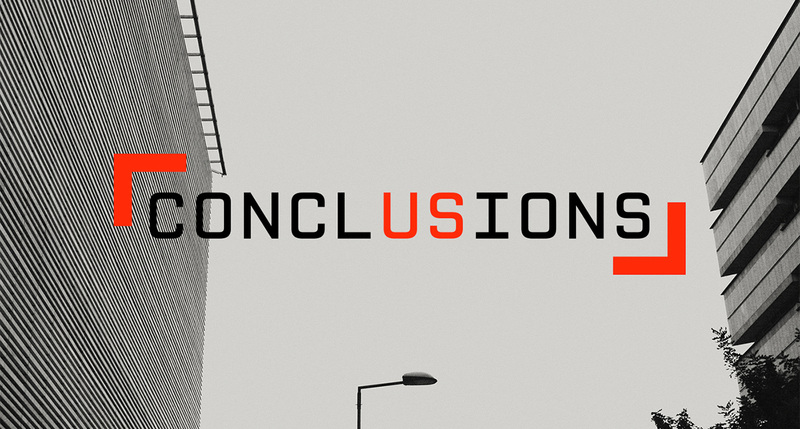 If you look up the word conclusions in dictionary you’ll see that the word is refered as the last part of something, its end or result. 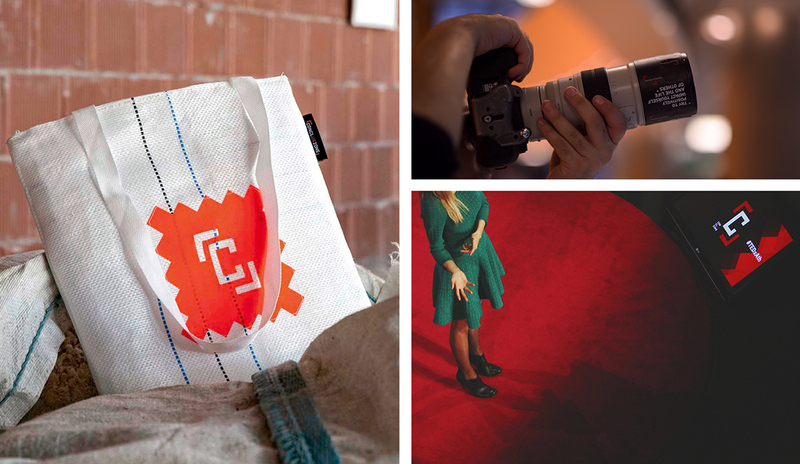 Its a sum up of a process. 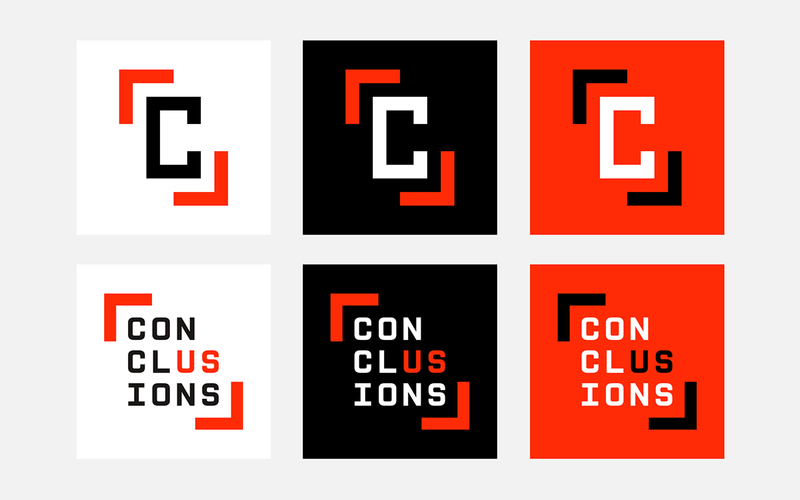 I designed a variety of logos in which i was trying to represent the essence of coming to a conclusion. 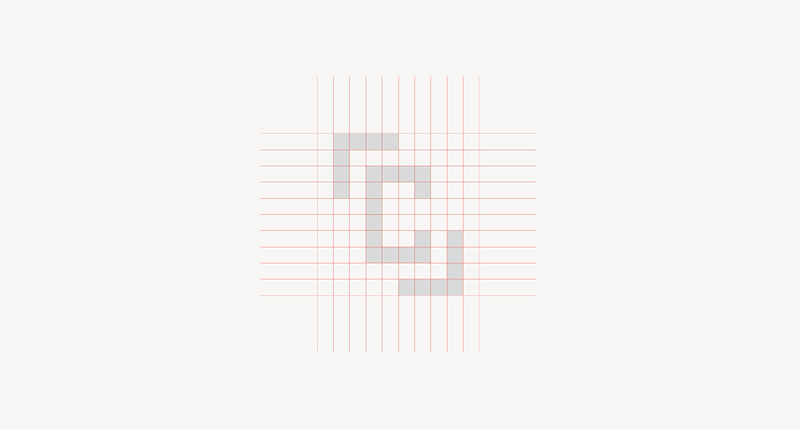 The chosen logo is a combination of the first letter “ Capital C” locked by two brackets which serves as moving arrows as well. 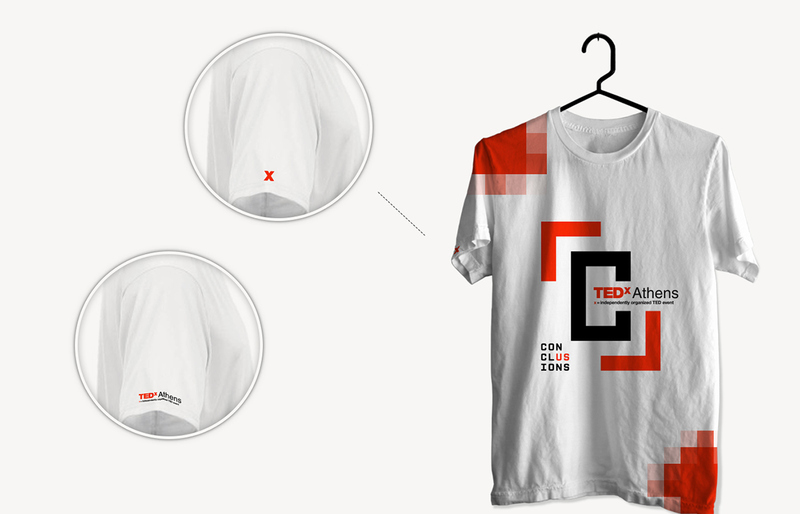 Then i created variations of the main logo in which the “Conclusions” is appearing in portrait and landscape orientation always locked by the brackets. 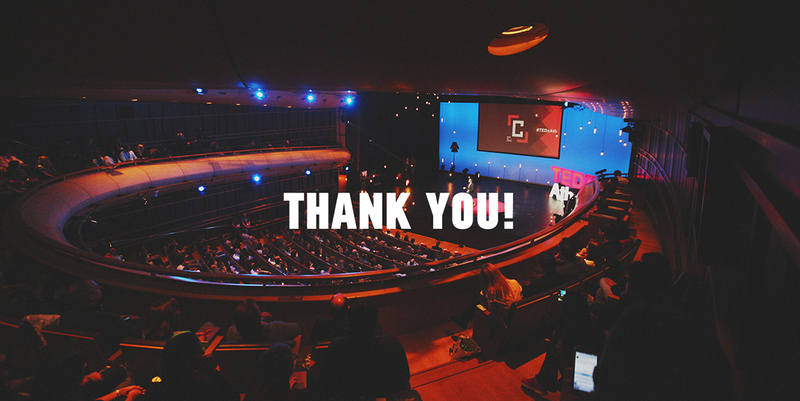 The letters “US” of the world conclusions were always in the inverse color in order to make it look like [Concl-us-ions] and to give emphasis in such way to the team spirit of the TEDx community. 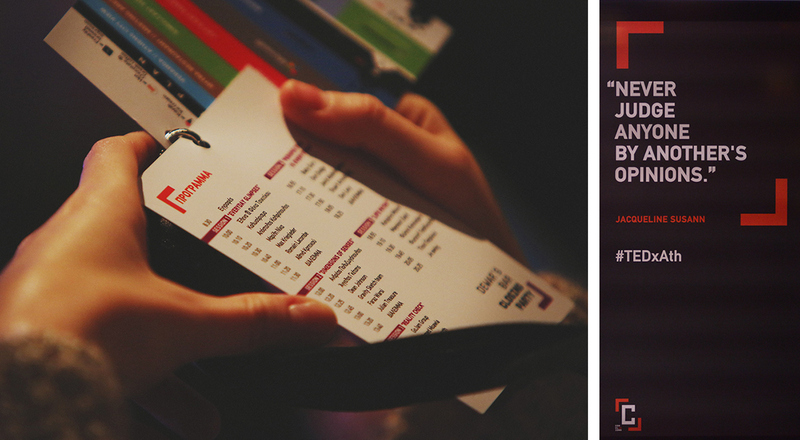 The identity was developed under those principles. 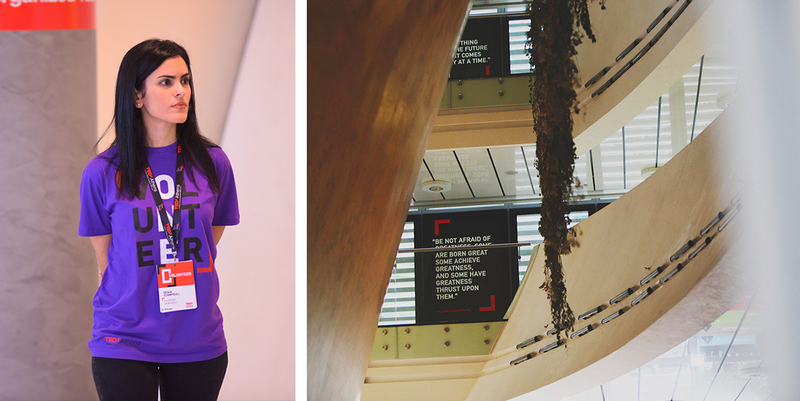 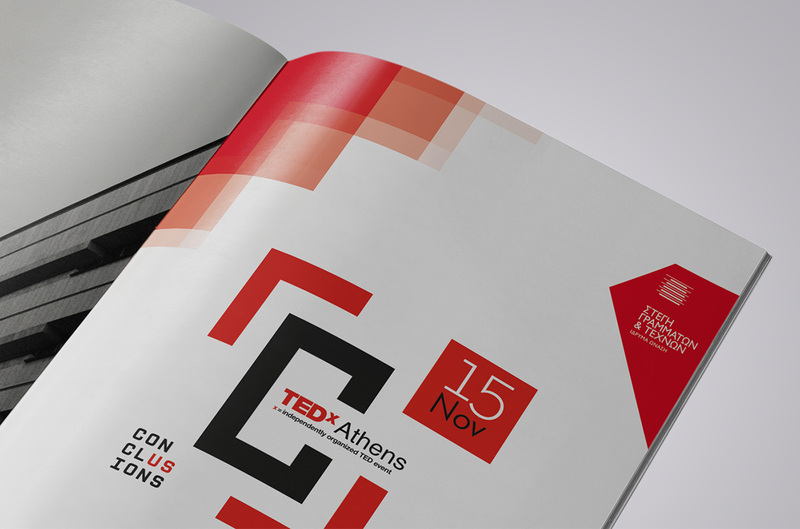 Art Direction and Web Design for Conlusions (TEDxAthens 2014). 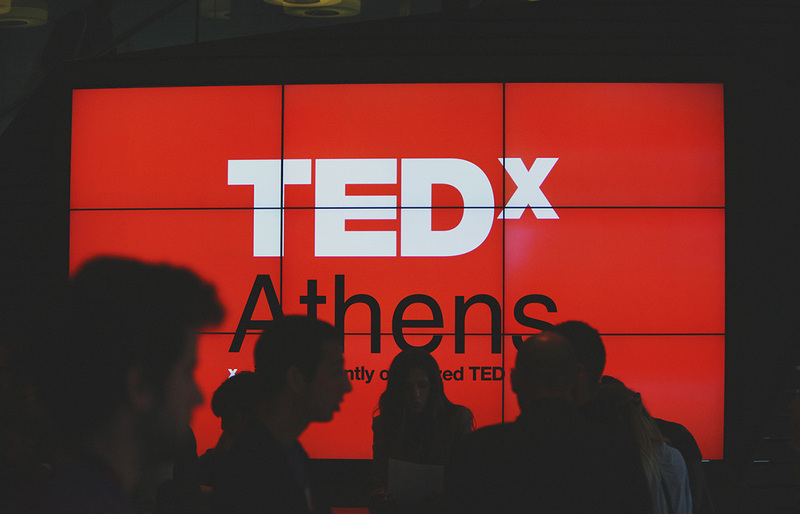 This project was made for and with Tribal Wolrdwide Athens.